Located 400 m from the town center, Claremonte Motor Lodge offers rooms with free Wi-Fi and Cable TV. Attractions such as wineries, Te Mata Peal and the National Aquarium of New Zealand are a 25-minute drive away. 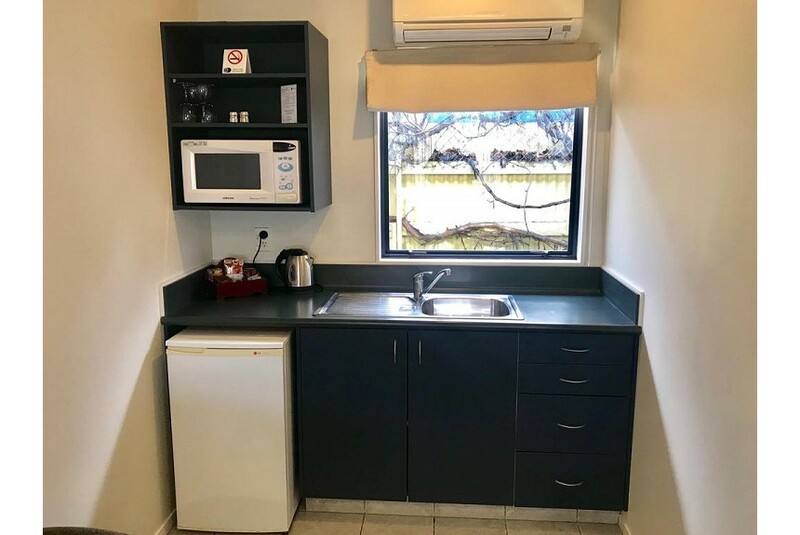 Rooms come with a microwave, ironing facilities and electric blankets. Select rooms have a spa bath and full cooking facilities. All TVs have over 40 Sky Digital Channels. Guests are offered a free pass to the local gym located 500 m from Claremont. Free off-street parking and laundry facilities are provided. Cooked or Continental breakfasts are delivered to the rooms. Hawkes Bay Golf Club and Hastings Golf Club are within a 15-minute drive from the lodge. Hawke's Bay Airport and Napier is a 30-minute drive away. Solo travelers in particular like the location – they rated it 9.2 for a one-person stay.